The sun is (finally) shining, there is new season stone fruit to be eaten, so why not! One tends not to associate concrete, that most solid of building blocks, with decay. 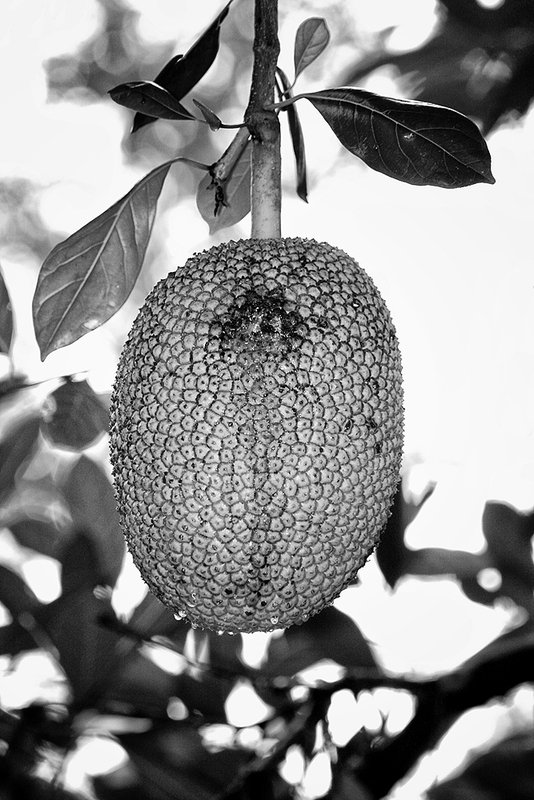 It is after all inorganic, unlike nature which encroaches upon it. 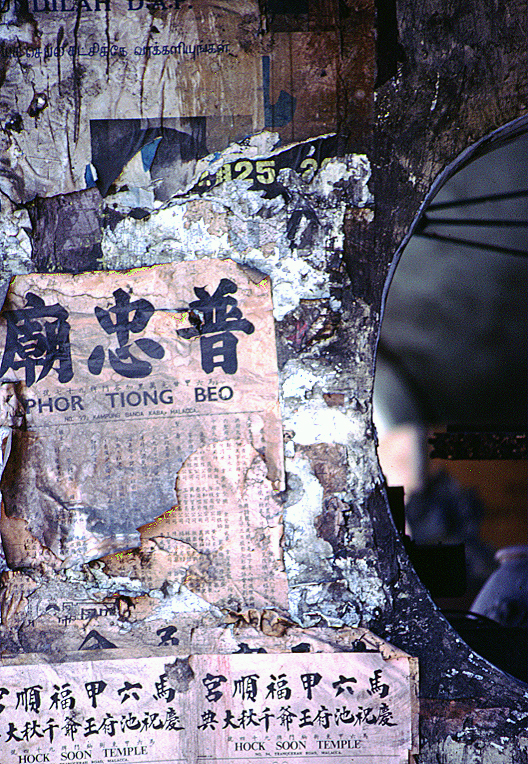 My trips to Asia in the 1980's brought home to me that concrete was no different from wood or any organic element; each was subject to the cycle of erosion and decay, it is just a question of time. A first trip to Europe a decade was equally fascinating as layers of civilisation were stacked one upon the other, each using as its base the remnants of what had come before. 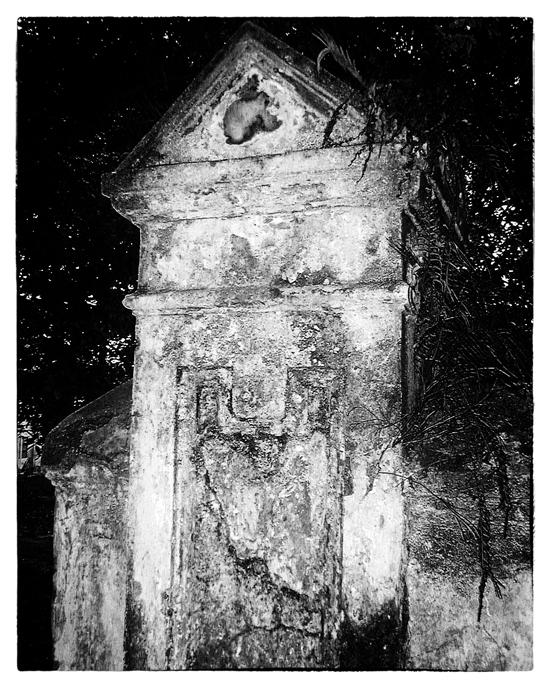 One enduring image I have kept with me are the remains of a mansion gate in Singapore's Oxley Road (incidentally the section address is 2 Lloyd Road as it is on a corner), named after Dr Thomas Oxley,the colony's surgeon from 1827 and just a little further up the incline past Lee Kwan Yew's home. I walked past this post regularly during our trips back to Singapore to see family; past the Gurkhas guarding the former PM's home. These treks took place from 1986 to 2006, after which time we were living in Singapore ourselves. Each time I walked past it the post looked a little more decrepit and overgrown in its constant battle with creepers and vines of varying thicknesses. Singapore being a tropical country has a heavy rainfall and warm sunshine all year round which means that buildings weather rapidly. Rain, wind, solar radiation including ultra-violet light and atmospheric pollution all take their toll. It turns our that these gates and and empty section are all that remains of the grand house, Villa Austerlitz. Singapore's National Archives has some very good images of the house at it was and the former owners. 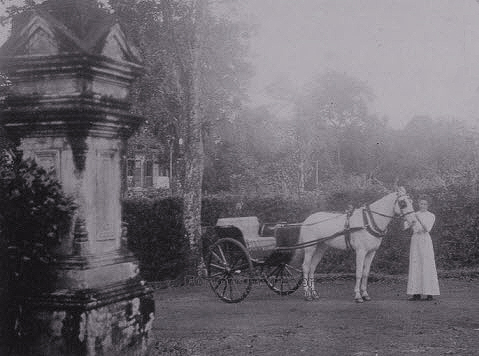 One 1913 photograph clearly shows the same post at left of the picture. The National Archives are a wonderful resource and the staff there do a tremendous job in recording and preserving documents and images associated with Singapore's history. One can even send a historic post card of early Singapore to a friend using their resources. It is the textural qualities of decay that makes it so appealing through the lens - layers peeled back like an onion to reveal something of interest underneath. This street poster from a visit to Malacca is another such example. 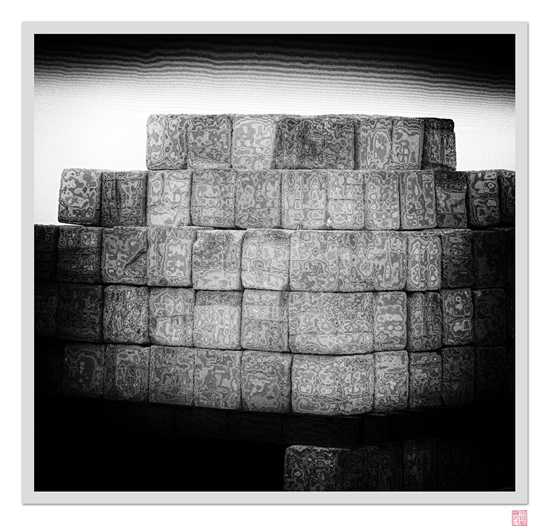 This image is based on the large concrete blocks that are used as crane counterweights in Singapore. It could have been taken on almost any building site in the country but in this case it was out at Changi; on the site of the ill-fated UNSW Asia campus. Within two months of the original photograph being taken the plug was pulled on the project. 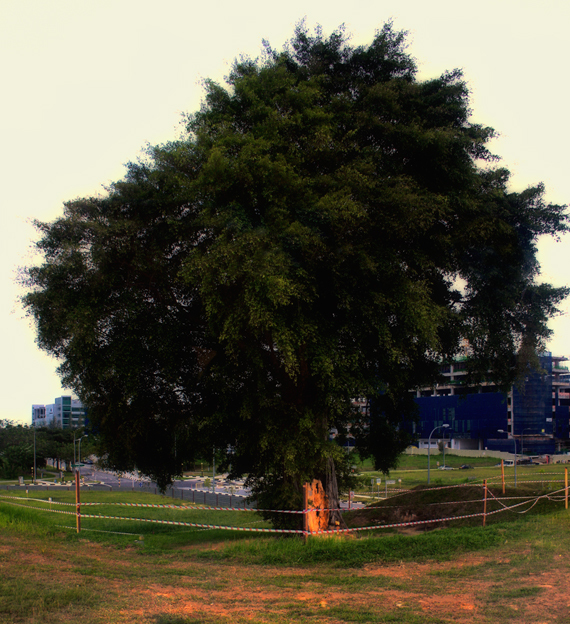 The same piece of ground was reclaimed by the government who had plans to build Singapore's fifth university on it. 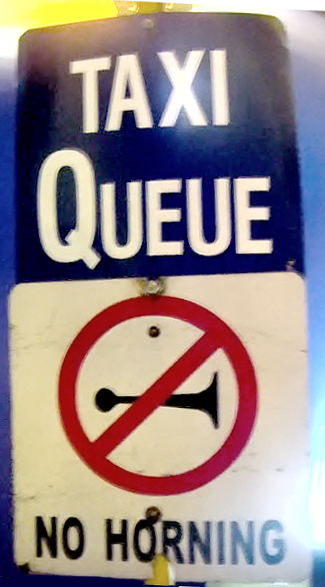 Recent news reports suggest that they too will not proceed on the site. There is an interesting aside related to this story. 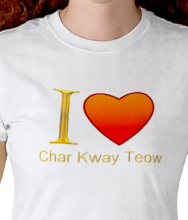 On the same site stood a tree that was believed by many of the local Malay population to be sacred. Offerings were frequently laid at its base to appease various deities. Not surprisingly people for the area were concerned for the tree's fate and assurance were made that it would be revered and kept safe. Shortly after ground works commenced for the new campus, it was inadvertently knocked over by a contractor. Not a good omen and so it proved to be. Mind you, this is not the only spiritual site I came across during my time in Singapore. The practice of venerating certain places was widely practiced in earlier times and still continues in some places. Each day I passed a clump of trees and bamboos adjacent to the food court in Commonwealth Avenue, by the Queenstown MRT. Inside this clump there was a largish open space in which a red oil lantern could be seen shining along with other small offerings. This image was taken on the now-defunct UNSW Asia campus in Tanglin Road. The arrival of books for the library was a moment of celebration, which proved to be short lived. Transport crews such as this one are an integral part of life in Singapore where there is a very transient population; foreign workers and Expats. In our Queens condo there was not a week went by without a new container being parked outside the complex as people moved in or moved out. There were also numerous, smaller removal vans which moved people back and forth from HDB's to the condo and on occasion, in an opposite direction. Today is the first day of Chinese New Year, the year of the Dragon, and as I write my many friends in Singapore and beyond are celebrating with their families over Reunion Dinners. It was a time that I always enjoyed although it was also a time when finding an open coffee shop proved difficult. This year is most definitely a Water Dragon with flooding once again wrecking havoc in certain parts of Singapore in the past week. 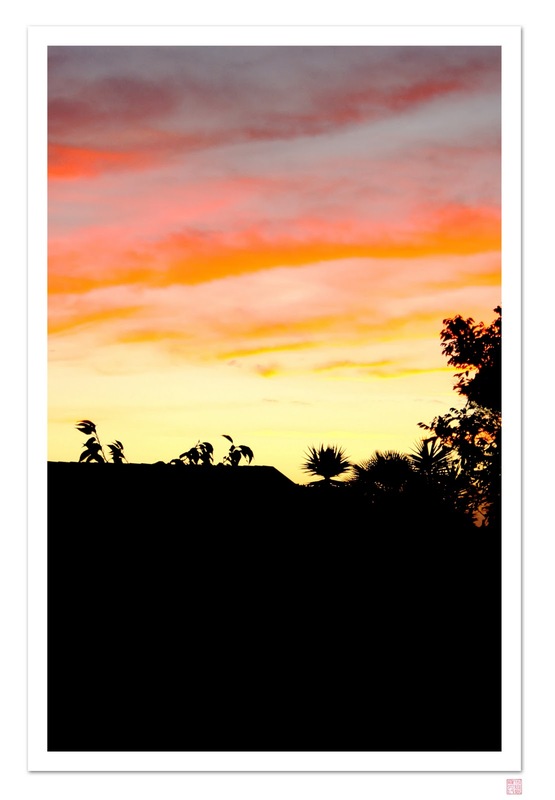 Sitting in my study in new Zealand, I decided to delve into my image archive. Here is is a photo taken on the then Tanglin campus of the ill-fated UNSW Asia in 2006. 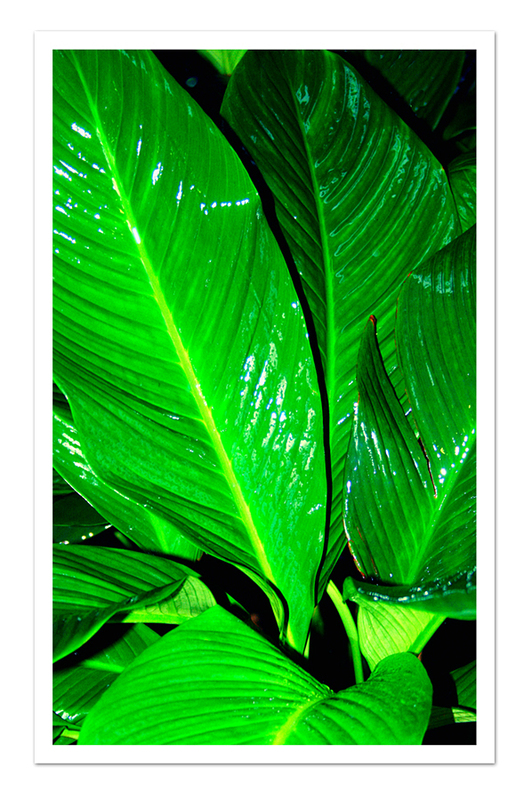 The tropical foliage and the fresh smell after rain is something one never forgets. There will be many not staying in Singapore but leaving for Malaysia, Thailand or places further afield over New Year; an annual pilgrimage to be with, or share with, family. Many of them will be flying Singapore Airlines; still my favourite airline despite the recent news that its new fleet of fifteen A380's are susceptible ;to cracks in the wings. The Wall Street Journal has reported that European air-safety regulators are poised to mandate enhanced inspections in the wake of new cracks found on an A380. None of this is very reassuring although the manufacturers have assured everyone that there is no imminent danger. Finally a piece of news that surprised me, as our local NZ supermarkets have for many years been full of bananas from the Philippines. The Philippines have just sent a trial shipment of fruit and vegetables (carrots, cabbage, bananas, papaya, squash and spices) to Singapore hoping to break into what they perceive to beg a lucrative market. For some reason I thought that produce from the Philippines was already readily available in Singapore - apparently not so? To all my friends and family - Gong Xi Fa Cai. It is a street map and also a land lot map. You can search a diverse range of data from traffic accidents to the latest house prices, from funeral parlours to recycling bins. 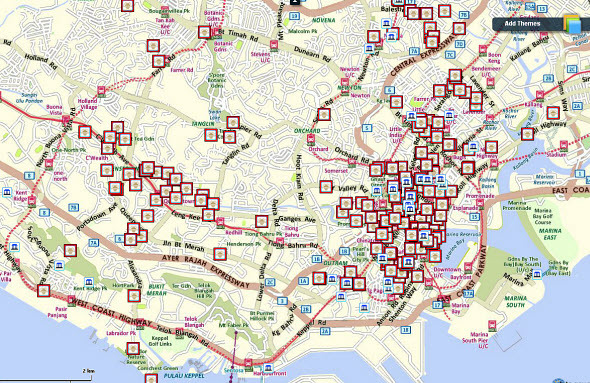 This map is an absolute boon for any visitor to Singapore as well as for locals. Bookmark it today; I have. 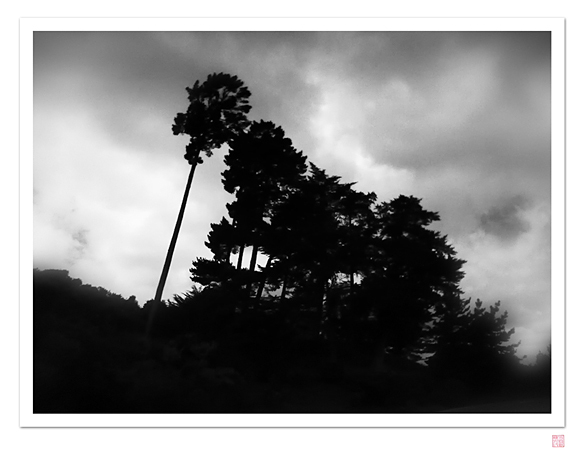 I went for a walk this afternoon with only my mobile phone camera to hand. This stand of weathered pines captured my attention. Given that our television forecasters fail so miserably to predict the weather I found this infographic of interest. 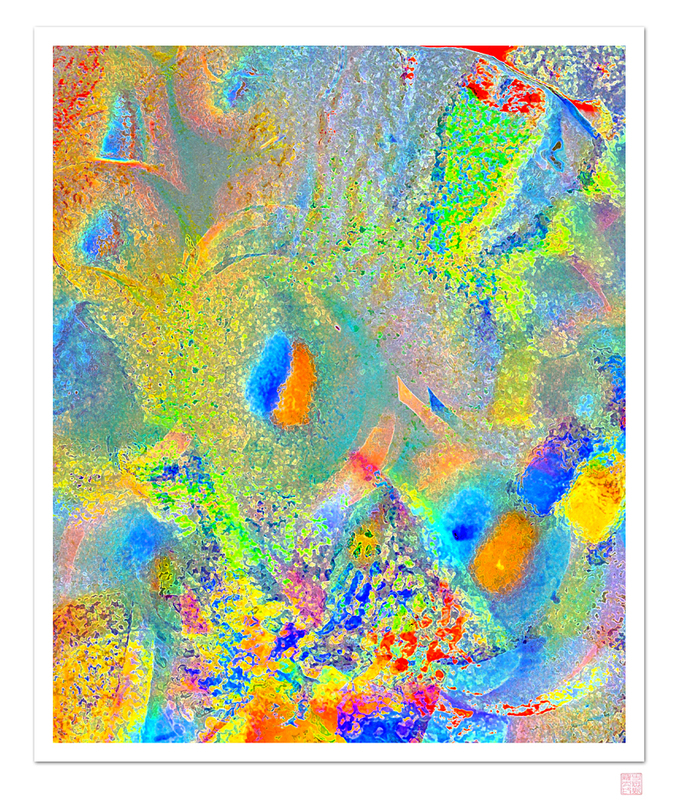 It is based on old saying and observations from time when people could discern weather patterns and decipher the behaviour of animals for themselves. The original illustration can be found here. Friends visiting me in Singapore always remarked on how green the city was; in direct contrast to their preconceptions. Of course this wasn't always so and in the earlier days of the Republic there were large expanses of concrete and tall buildings. The tall buildings remain but now they are more likely to have been designed with the environment in mind - green roof tops, solar and Eco-friendly. With a population of 5 million people occupying a small land mass of 268 square miles it is not surprising that land use, water use, energy efficiency, green building and waste management are major preoccupations of government. Bare roof tops and concrete surfaces act as heat sinks, making Singapore’ surban areas 3% hotter than the rural ones. To the country's credit they have set very ambitious goals. Those who live in Singapore are well aware of the seasonal flooding that continue to plague the city. It might result in some great post-flood bargains in Lucky Plaza but it is soul destroying for the shop owners. 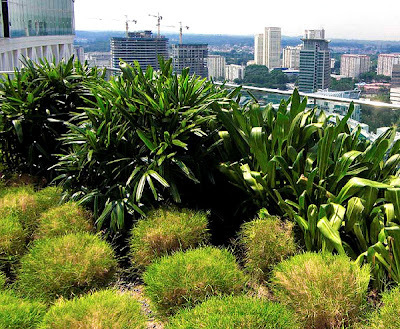 A Government appointed panel who have been studying Singapore's flooding woes has recommended that building owners be required by law to build green roofs. These will soak up large amounts of water which otherwise find their way into the over worked storm water drains. Porous pavements and local storage tanks are two more of the proposed solutions. Singapore never does anything by halves. When it sets out to do things it set high goals and aims to achieve them. The greening of Singapore's buildings is no exception. The goal set by the Building and Construction Authority is to green 80% of buildings by 2030. As only 12% of its buildings have been greened to date htis will be quite a challenge but I am sure they will reach their target. Government continues to fund research into green technologies though its $22 million incentive programme, GREET (Grant for Energy Efficiency Technologies). 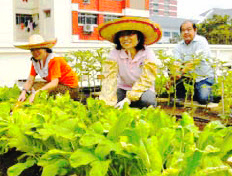 There is also an initiative suggested by the Centre for Urban Greenery and Ecology and its partner, the National Parks Board that these roof top spaces could be used by the high-rise residents to grown vegetables for the table. Presumably root crops will be discouraged as the thought of a carrot growing downwards through one's ceiling would be rather off-putting, but nevertheless a conversation starter. But it is not just the government and buildings that are taking up the green challenge. The local shipping industry has a Maritime Singapore Green Pledge which shows commitment to clean and green shipping. Singapore ships that exceed the International Maritime Organisation's Energy Efficiency Design Index are rewarded with tax deductions so there is a real financial incentive for doing so. Electric cars and green mobile apps. 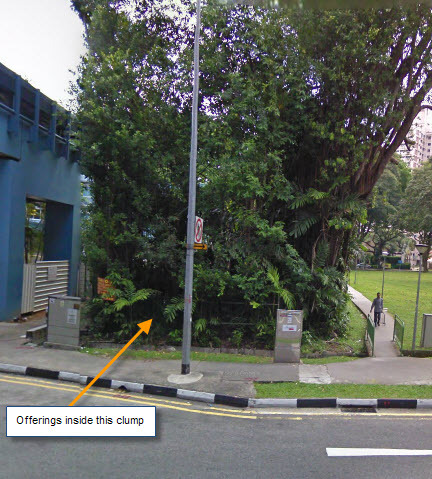 are also under development, so it is literally 'Green for Go' in Singapore in the year ahead. Definitely a year to watch your money if you are a a dragon. The year ahead includes absconding business partners! One of the things that impresses me most is Singapore's commitment to research. Given the lack of mineral resources the Republic's emphasis has always been on developing and using people's skills and abilities. The economic success of Singapore bears witness to the success of this strategy. One of the most recent scientific breakthroughs has been the discovery of a gene responsible for lung cancer. A collaborative team from the Genome Institute of Singapore, Tan Tock Seng Hospital and National Cancer Center made the breakthrough. Make no mistake this promises to be a huge breakthrough in the fight against cancer and repays the country's faith in R&D. 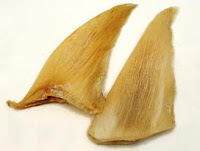 Another piece of pleasing news is that Carrefour has followed the lead of NTUC and will no longer be selling Sharks Fin or its soup derivative in its supermarkets. It is to their discredit that Sheng Siong, Giant and Shop N Save have not followed suit and will continue to do so. 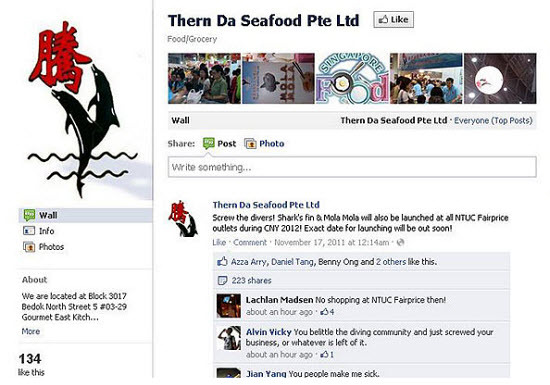 Following calls for it to stop selling shark's fin products after one of its suppliers, Thern Da Seafood, put up an online post that said 'Screw the divers' in an announcement of a shark's fin product launch at FairPrice outlets. The Facebook post drew much criticism and went viral on the social networking site and also microblog Twitter. Many who commented called for a boycott of both the supplier and FairPrice. Such is the power of the consumer in this age of social media! I for one have enjoyed many a meal of sharks fin soup in the past put the realisation of how this practice is decimating the world's shark population means that I will happily forgo the pleasure from now on. 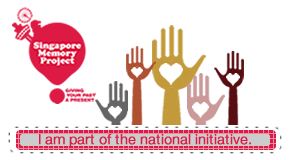 With Chinese New Year almost upon us (in a couple of week's time) I was delighted to read that the spirit of giving and caring remains alive and well in Singapore. A Singapore Buddhist Lodge is distributing more than $675,000 in hongbaos to 11,697 needy old folk and the disabled ahead of the Lunar New Year. What a wonderful gesture. Especially, one would expect, in a public place. The Singapore Government has clearly been taking note of the 2011 Election results and the voters dissatisfaction with the high level of remuneration that local politicians receive in the Republic. There is a reason for these salaries which are the highest in the world; they are currently pegged to the salaries of the top 48 from six industry sectors. The new proposal (and it is just a proposal at this stage, not law) is to extend this benchmark to the top 1,000 across all industries. i.e. the median income of the top 1,000 Singaporean earners. Mind you, there is also a ' 40-per-cent discount to "signify the sacrifice that comes with the ethos of political service" clause' which rather dissipates the political or real effect of any pay cut. The President will be hit hardest with a 51% decrease but I am sure will live quite comfortably on the remaining S$1.5 million. Even with a 36% cut, Prime Minister Lee Hsien Loong will remain one of the highest paid politicians in the world at S$2.2million ($US1.7 million). 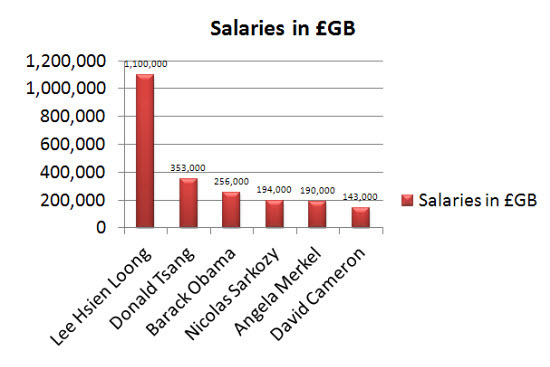 By comparison, US President Barack Obama earns about $400,000 and the British PM about $US 270,000. Post-pay cut, the PM's new salary will still be three times that of the Hong Kong chief executive, Donald Tsang, the world's next highest paid political leader, who earns about $550,000. The least a Minister at the lowest entry level grade would expect to get is $S935,000. 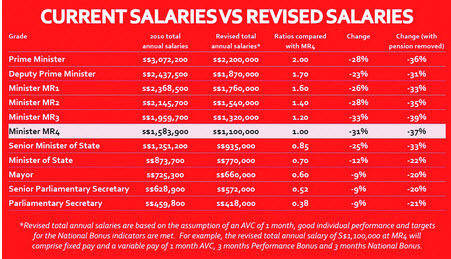 According to TodayOnline their salary will now comprise a fixed component of 12 months' pay and a traditional 13th-month Annual Wage Supplement (bonus). The individual bonus is based on the minister's performance as determined by the Prime Minister while the National Bonus will be linked to "the socio-economic progress of average and lower income Singapore citizens". While the international press is is offering scant praise ito news of the pay cuts, it needs to be remembered that the rational behind the high salaries in the first place was to entice the best professional candidates into politics. This might be a fine idea in times of economic bliss but when recession bites, as it has in Singapore these past two quarters, the voters find such largesse difficult to stomach. This in combination with MRT problems, housing price rises and taxi woes points to challenging times ahead. The income of Singaporeans in the bottom fifth has been flat or negative in the 10 years to June 2010 while politicians salaries have soared since the 1990's. But I wonder if all the above truly reflects the cost of a politician? Making judgments on salary alone is insufficient. A 'total cost of office' should include salary, entertainment, total travel, pensions and personal security costs, to name but a few. If such an equation was in place then the true comparison between US President's cost and those of the Singapore PM would be dramatically different. Having seen the US President's advance security sweep in action before a planned visit, I can vouch that these are thorough and the costs considerable. Bottom line which only the voters can answer - are you getting value for your money? Image via WikipediaAt the risk of sounding like Scrooge I have to say that the bargains come to those who wait. It is a week after Xmas and the supermarkets are now putting their surplus Xmas cakes and mince pies on special. I am 'mince-pie'd out' and now somewhat of an expert on the various brands although last night's fare proved anything but pleasant. A packet of Ernest Adams Xmas tarts smelt and tasted rancid so these were returned this morning. We were apparently the second customer to do so, but I noted that the supermarket concerned still had not removed the stock from display. People who are really experienced in such matters will no doubt be consulting the Daily Telegraph who went to the trouble of publishing glowing tributes to the 'best of the bake'. Marks and Sparks came highly recommended. While on the subject of the baked, and in this case the half-baked, today marks the 10th year anniversary of the foiled terrorist plot to hijack a plane and fly it into Singapore's Changi International Airport. The perpetrators were a Singapore cell of Jemaah Islamiyah (JI), a pan-South-east Asian terrorist group and Al Qaeda affiliate. The plan was thankfully thwarted by Singapore's domestic intelligence service, the Internal Security Department (ISD) and the plotters were clearly not as clever as they thought they were. The other piece of news that caught my eye was a series of DNA errors due to inaccurate reading of the instructions on a chemical bottle. While this might seem a trivial misdemeanor, it adversely affected 412 criminal cases or which 87 required re-testing. The standard cost of throwing up in a taxi in Singapore is apparently twenty Singapore dollars. This is the maximum a driver can charge his drunken passenger although they (the driver) also stand to lose about $30 of cab fares as they go about cleaning up their taxi. According to a newspaper report in the Jakarta Post, ComfortDelGro, Singapore's biggest cab operator with a fleet of about 15,000 taxis, does not have a policy on compensation but offers its cabbies free cleanups at its workshops. And before anyone jumps to a conclusion, it is not just the men of Singapore who have this habit of 'hurling' in cabs. The same newspaper report gives the example of a 34 year old female professional who, after a night out drinking at Clarke Quay, threw up. She is reported as saying " "I felt very bad seeing the taxi uncle's face fall after I threw up". I bet you it did! Surely the bigger question is why is it necessary to binge drink in the first place? There is nothing less edifying than a drunk and I am sure most cab drivers world wide would agree. Meanwhile drivers such as Tan Pin Lin comes prepared for his shift with "10 plastic bags, boxes of tissue paper and a prayer that no one would puke in his cab after a night of partying."